PARIS, FRANCE - JULY 15, 2018: French football fans celebrate France's team victory of 2018 FIFA World Cup. 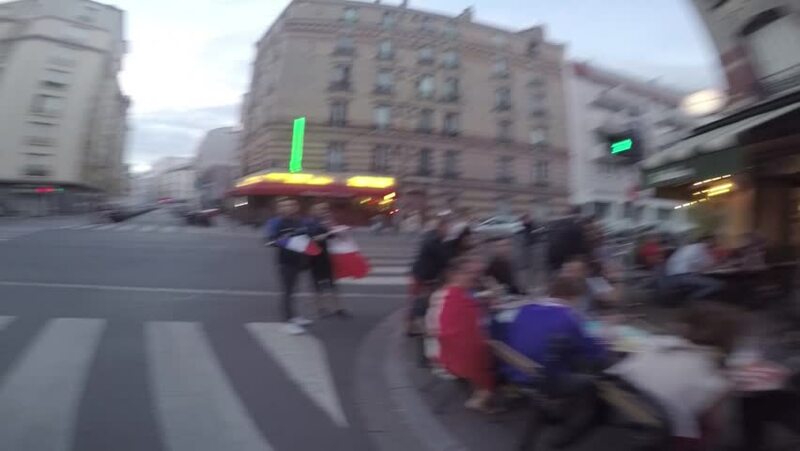 Guy waving a French flag and yelling at the camera. Sound on. 4k00:05LAS VEGAS, NEVADA 1957: is this worker being followed by police? 4k00:07Time lapse. A walk through the square and streets at night. London. 4k00:20BOULDER, COLORADO USA - DECEMBER 1949: Christmas time in downtown Boulder as cars drive by and the local church is attended.